A castaway stocks his ideal island library. This past season of Survivor, set on a small island in the Philippine province of Cagayan, featured three competing tribes: Brains, Brawn, and Beauty. 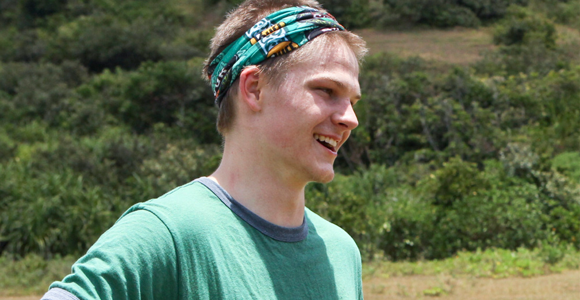 Economics student Spencer Bledsoe, ’14, selected for the Brains team, faced off against 17 other castaways in physical challenges, puzzles, strategic alliance building, and wilderness survival. In previous seasons, competitors could bring one “luxury item,” such as a book, but this season featured no such comforts from home. In the unlikely event Bledsoe is ever marooned again, here are the five books he would bring. Read Bledsoe’s UChicago-style Survivor strategy.